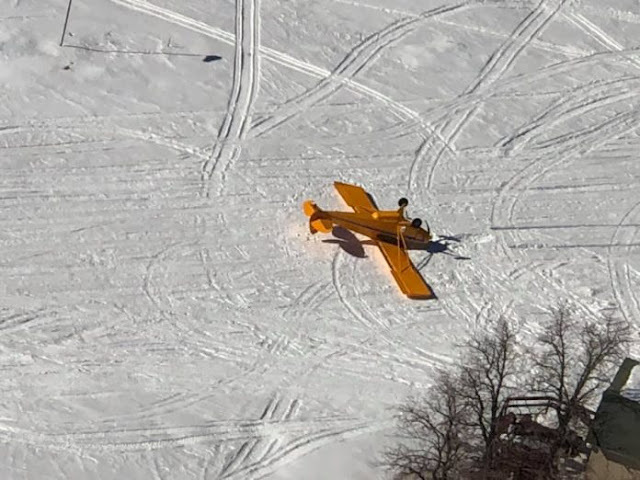 The pilot of the tailwheel-equipped airplane reported that, before landing at an unimproved snow-covered airstrip, he chose to do a "low flyby with a light touch" to gauge the landing surface condition. When the airplane touched down on "what looked like compact snow", the landing gear dug into the snow crust, and the airplane nosed over. The airplane sustained substantial damage to both wings, windshield, and the empennage. 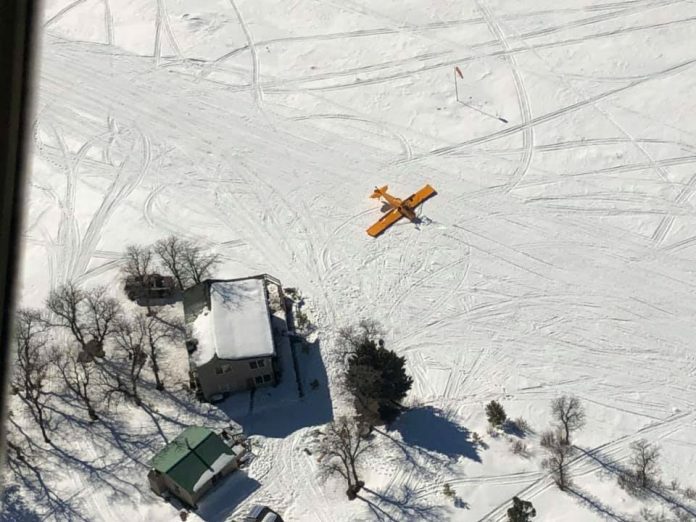 WASHINGTON COUNTY, Utah, February 1st, 2019 (Gephardt Daily) — A small plane that went down in rural Washington County was located late Friday afternoon. 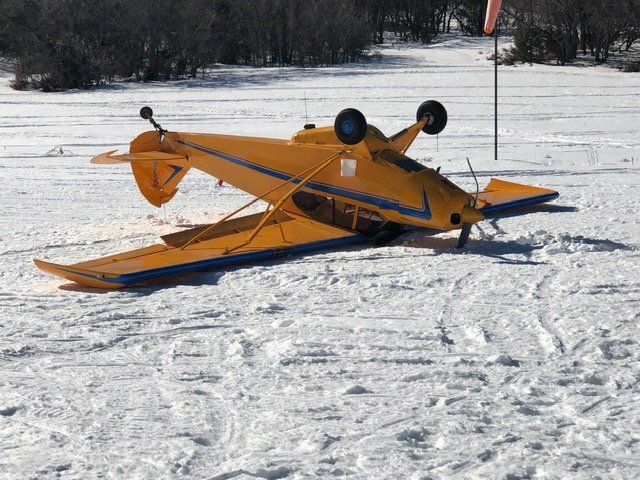 The pilot and passenger had only minor injuries after the plane, which was trying to land on a snow-covered private runway, flipped upside down. 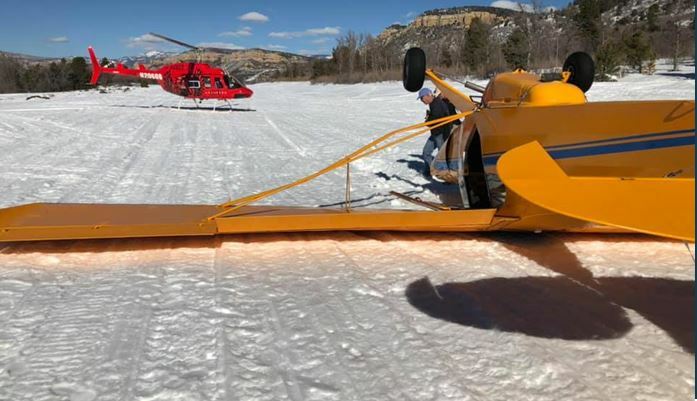 Officials from Iron and Washington counties worked on the search, as did pilots from SUU Aviation, out of Southern Utah University. “Today, our great partnership with SUU aviation paid off big,” a statement from the Iron County Sheriff’s Office says. “A call about an emergency locator transmitter from a down plane was called into the Washington County Sheriff’s Office. 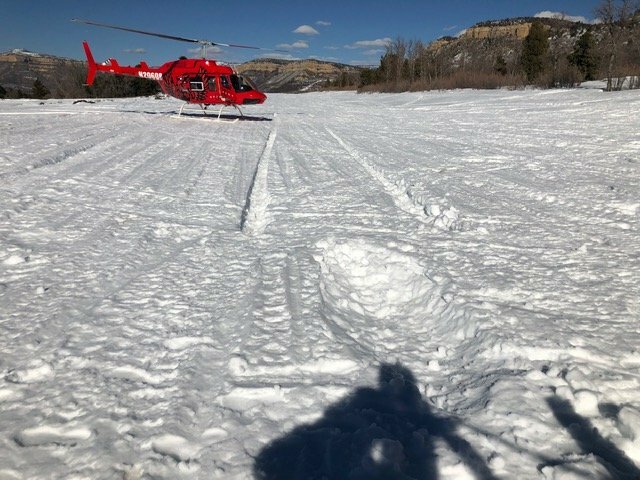 Pilots from SUU aviation and deputies from Iron County Sheriff’s Office responded to the area only accessible by air or snowmobile. WASHINGTON COUNTY, Utah — A plane with two people aboard crashed in Washington County Friday afternoon. An FAA spokesman said the incident occurred on a snow-packed airstrip 30 miles northeast of St. George. According to the Iron County Sheriff’s Office the airstrip is in an area only accessible by snowmobile or aircraft. The aircraft, a Piper PA-12, had two people on board when it flipped over during an attempt to land. A Facebook post from the Iron County Sheriff’s Office said the pilot and his passenger suffered minor injuries and were flown from the crash site to an airport in Hurricane. “We are happy to report they are safe,” the Facebook post said. The FAA will conduct an investigation.